The other day I saw that the New York City Municipal Archives released a bunch of fantastic images, with some highlights selected by The Atlantic In Focus. One particularly caught my eye because the scene looked so familiar. I had taken that same shot! 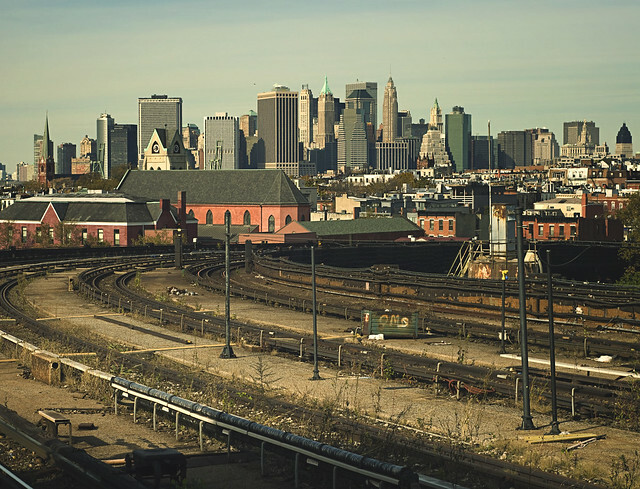 I photographed the skyline of lower Manhattan with subway rail tracks in the foreground while exiting the 8th Street train platform in Brooklyn on the way to Ikea. Apparently someone did the same thing in 1938, leaving us with two remarkably close images. Lots has changed (more buildings, more trash) but the churches visible are largely unchanged, as well as the Woolworth Building and Manhattan Municipal Building in lower Manhattan.